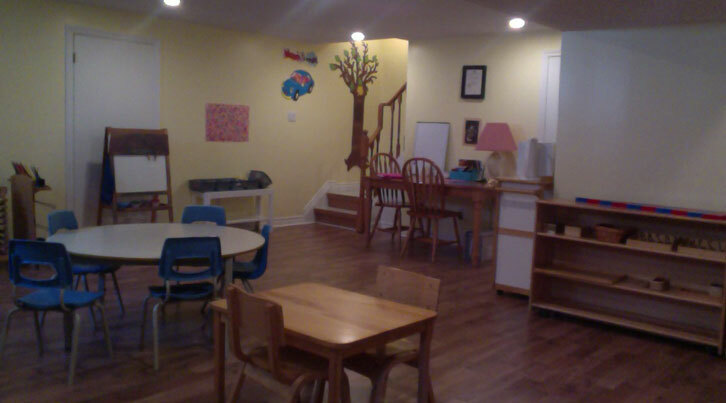 Chez Isabelle Montessori Home Daycare is open Monday to Friday from 7:30 to 17:30, 11 months of the year. The center is closed in August and on Statutory Holidays. Closed on Christmas Day + 23rd, 24th, 30th, 31st December. A fine of $1 per minute for being late to pick up your child. Tuition is paid in monthly instalments by a series of 11 post-dated cheques for the year and are due on the first of each month, payable to Chez Isabelle Montessori Home Daycare. The total tuition is required regardless of statutory holidays, child’s illness or your personal vacation. If your child is not attending any part of the week, the full tuition will be charged. If the bank for any reason returns a cheque, a bank fee will be charged and must be paid upon notification. The centre closes at 5:30, it is recommended to pick up your child before this time in order to avoid a fine of $1 per minute. Tax receipts are provided at the end of the year. There will be occasions during the year when I will need to take 'Personal Days'. I therefore will take up to '5 Paid Days' if necessary. A $ 50.00 non- refundable deposit is requested in order to reserve your daycare space. If you wish to withdraw your child from the program, please notify the centre a month in advance. Children 1 to 4 years. Places are limited to 5 children, if you are interested, contact us for a tour. If we do not have places available you can place your child on our waiting list.